This beautiful dining chair is one of our new favourites here at Design Warehouse. 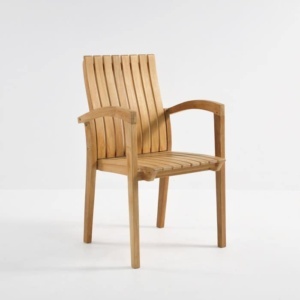 Showing that we offer more than just teak furniture, we’ve infused this chair with outdoor Polyfibre rope as the seat of the chair. 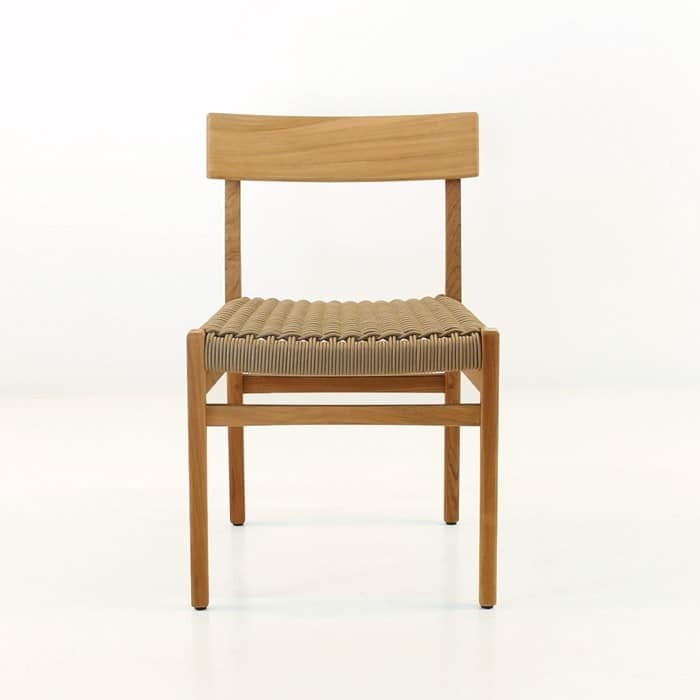 This new line of furniture provides cushion and comfort as well as flexibility due to the construction of the weave. The Tokio dining chair urges you to sit on it, with it’s clean lines, sturdy frame and the appealing taupe weave. 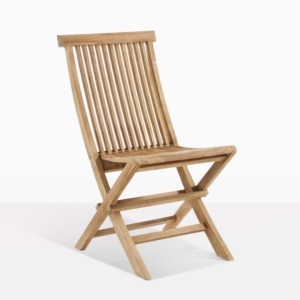 Whether you place it indoors or out, this chair will surely impress any dinner guest. With the unique look of this chair, it can be paired with almost any type of table. 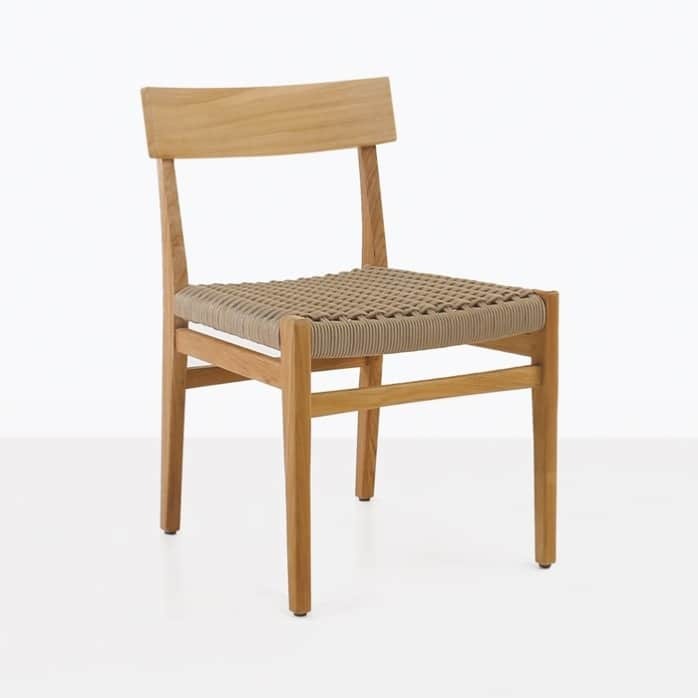 For a classic look, pair this with one of our teak trestle tables. For a more eclectic look, this chair can be paired with a concrete table to show off a bevy of materials. 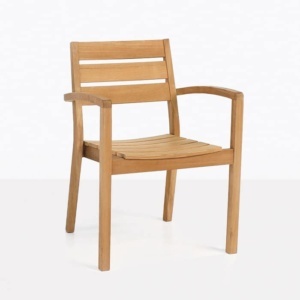 Since this chair is made of A-Grade teak and polyfibre, you need not fear of leaving it outdoors. We only use materials that are made for the outdoors and are of the best quality. Cleaning this chair is extremely easy as well. Both materials can be cleaned with a soft brush and light soapy water to maintain that look of excellence. 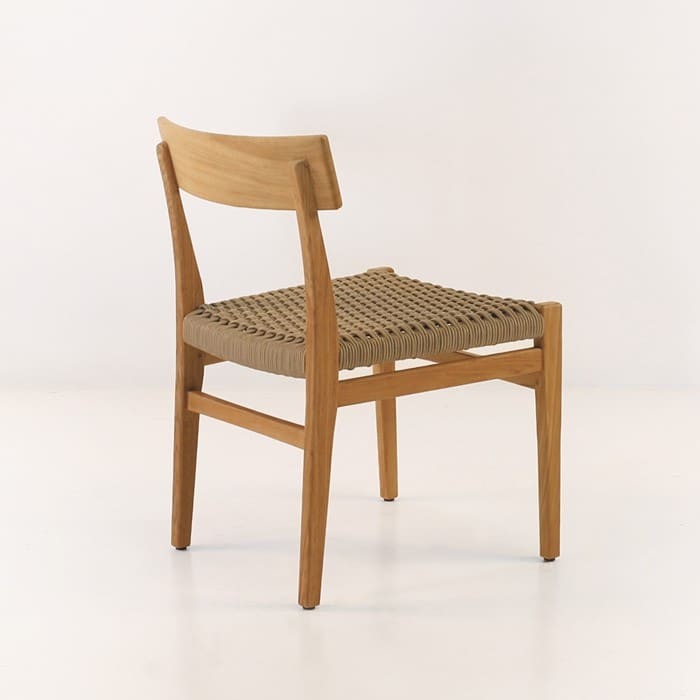 This chair is a part of a collection that also includes the Tokio relaxing chair. 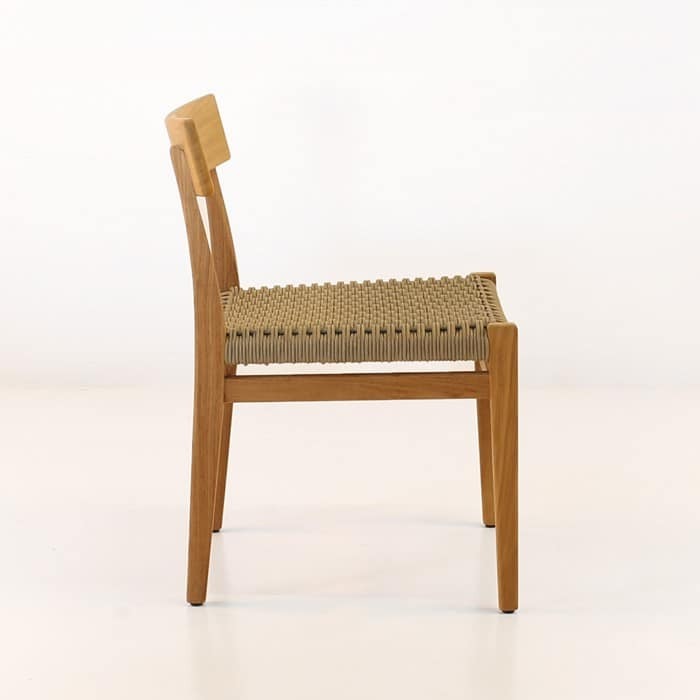 Both chairs share similarities in material but serve different functions as one is for dining and one for relaxing.